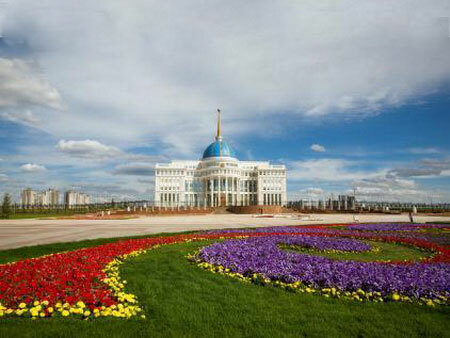 No other capital of the world can do without the Presidential (ruler) Residence and Astana is no exception. 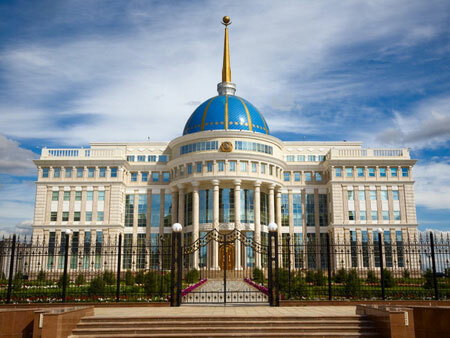 Five years after the announcement of the new capital of Kazakhstan the official presentation of the Palace of the President, “Ak Orda, was held. However, that structure is no longer a off-limits state facility; on the initiative of the President regular tours are held there. 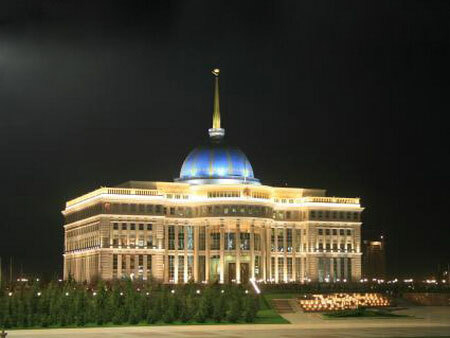 The residence of the country’s leader was built in 3 years’ time with the application of the latest technologies. The height of the building along with the spire is 80 meters; the height of the first floor is 10 meters. During the excursion on the first floor you will see the Grand Central Hall are (1,800 square meters), the Hall of Press Conferences, the Gala Hall, the Winter Garden. The second floor is reserved for office space. The third floor is entirely dedicated to various international events: in the Marble Hall the documents are signed by the heads of foreign states, in the Golden Hall meetings of smaller groups are held, the Oval Hall is for summits. In addition, on the third floor, there is the Oriental Hall in the form of yurt, the Guest Room, the Hall of Extended Negotiations, the Security Council Chamber, etc. The fourth floor has the Dome Hall used for summits, the meeting hall for the Government of the Republic, the Library and other rooms. Each room and hall there has its peculiar decoration, furniture and flooring. You can’t visit the Ak-Orda on one important condition: if the President is in the Residence. You are not allowed to get in, unless you are a head of another state.